Applying for jobs is a full-time job. It involves trawling job websites on a daily basis to spot hot opportunities as soon as they’re posted, as well as hours spent researching job roles, industries and organisations, and networking with professionals within your sector of interest. You also need to develop the right job-related skills and ensure you’ve conveyed your personal brand—all in the space of a job application. 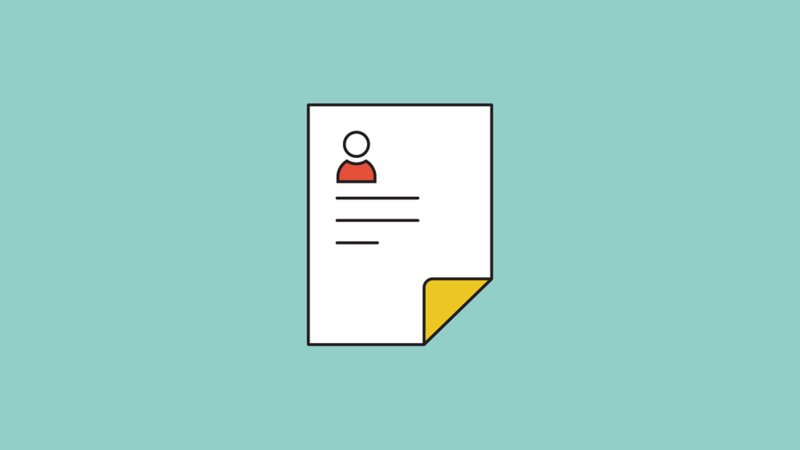 This might sound like a lot, but acing job applications simply boils down to knowing how the application process works—and practice, of course. In this blog, we’ll guide you through some of the job-related skills that will help you secure that brilliant first job after uni. A job application isn’t a job application without a CV and cover letter. The two documents summarise your skills and education, giving employers a snapshot of who you are and your unique selling points (USPs). The trick here is to be concise (your CV should be no longer than two sides of A4): include education, work experience and hobbies. It’s not necessary to include your religion or political orientation. You might not think that your position captaining the hockey team is relevant, but your extra-curricular activities tell an employer about your ability to work in a team, and can even act as an ice breaker during the interview. These are the key skills employers look for. Preparation is one of the most transferrable of the job-related skills needed to forge a great career, as a well-prepared applicant always impresses. Preparation starts the moment you decide you want to apply for a job at a particular organisation. Besides researching the role, it’s essential that you swot up the organisation, the industry, as well as any economic, political or social issues that might create opportunities or challenges for the sector. Social media feeds are a great place to start, as well as talking to people who know anything about the organisation you’re applying to. Psychometric and aptitude tests are the norm for graduate job applications, regardless of industry. They’re a way for employers to get practical feedback on the numeric, literary and critical thinking skills of applicants before they come for an interview. These will usually be completed online, and you’ll be given a set time in which to complete the tests. It’s important you manage your time well so that you complete the entire test, otherwise, you may be penalised. Don’t linger on tricky questions, move on and come back to them at the end. It sounds too obvious to mention, but don’t underestimate the importance of checking, double checking and triple checking your final job application before clicking ‘send’. Spelling and punctuation errors might be forgiven when you’ve got the job (although, are not advised! ), but will jeopardise your chance of your application being taken to the next stage. With so many applicants vying for jobs, employers can afford to be picky. Knowing what employers are looking for is the real key to making a success of job applications and enabling personal growth. Career development courses can give you this insight, and equip you with the job skills you’ll need to conquer the job application process and begin a fruitful career. Above academic achievements, employers value work-readiness: your ability to function and thrive in a workplace from day one. If you can demonstrate your employability in an application, you’ll be well on your way to success. For more information about the employability skills employers are looking for in job applicants, and how our Industry Engagement Programme (IEP) and career development courses can help you develop these, download our guide.